NEW YORK (The Deal) -- Brass-necked is a fitting description of executives at six large U.S. health insurers making an audacious attempt to consolidate the industry with three separate deals that have been announced since June. On July 24, Anthem (ANTM - Get Report) said it would acquire Cigna (CI - Get Report) in a merger valued at $54 billion. That transaction came on the heels of Aetna's (AET July 3 announcement that it would pay $37 billion for Humana (HUM - Get Report) and Centene (CNC - Get Report) July 2 revelation that it would buy Health Net (HNT for $6.8 billion. The Centene deal was cleared on Aug. 12 by federal regulators without an extended antitrust review, but state approvals are pending. The string of deals comes amid fierce opposition to insurance industry consolidation from hospitals and physicians groups. 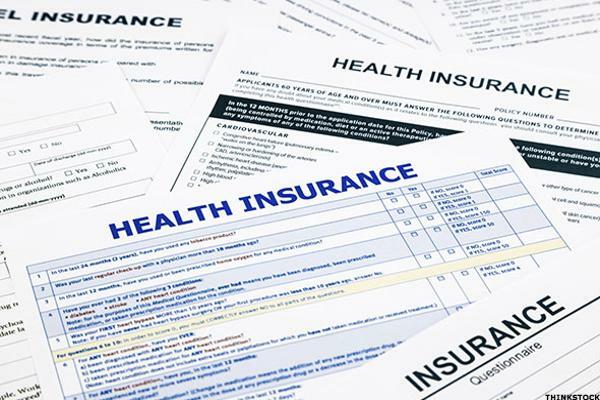 It also comes in the wake of two studies, one from a congressional watchdog agency, warning that most states have only three primary providers in each of the key health insurance segments: large group, small group and individual plans. In its December 2014 study, the Government Accountability Office also found that, in at least 37 states, the three largest insurers control at least 80% of total enrollment. In five of those states, there was at least one market segment in which the largest insurer had at least 90% of all the enrollees. And the GAO found that the largest insurers increased their share of enrollment between 2002 and 2008. Health insurance is a critical component of the U.S. health care system, and regulators need the market to remain highly competitive. In 2013, 58% of Americans under 65 had health coverage through employer-sponsored group health plans. About 8% of those under 65 had coverage through the individual market. Only two months before the GAO's report, the American Medical Association, in its annual assessment of competition in the health insurance market, found that 72% of the metro areas it studied were highly concentrated and that in 90% of those areas at least one insurer had a market share of 30% or greater. In 41% of the metro areas the AMA examined, one insurer held at least half the market. The AMA, which is the trade group for physicians, blamed the high concentration on consolidation and asserted that past health insurer mergers have led to the exercise of monopoly power with few of the potential cost savings being passed to consumers. The key issue for the latest string of mergers is whether statistics like those compel the Department of Justice, which is handling the antitrust reviews for each of them, to go beyond its traditional approach of evaluating the competitive effects of health insurance mergers according to their impact on local markets and to also consider whether the current round of consolidation presents a tipping point that obligates the agency to take into account the competitive effects nationally. THE BETTING, BY BOTH supporters and opponents of the mergers being proposed, is that the DOJ will stay the course and approve the two remaining deals, albeit by requiring that the parties to each transaction make divestitures in a handful of markets where the two companies pairing up have significant overlaps. Certainly that's what the companies' management believes. 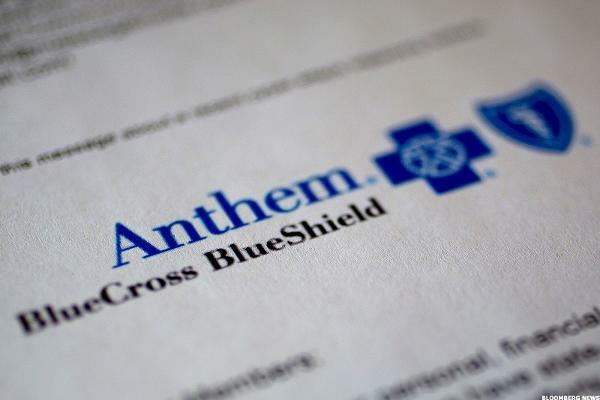 "There is a consensus [with Anthem antitrust counsel] of where there is overlap between our companies and that no substantive antitrust or insurance regulatory issues are present that would prevent completion of the transaction," Anthem CEO Joseph R. Swedish told analysts June 22 when discussing his company's overture to Cigna. Fearing that the DOJ will stick to precedent in reviewing insurance deals, parties troubled by the acquisitions have urged the agency to go beyond the spot divestitures that have characterized previous antitrust settlements in the sector. 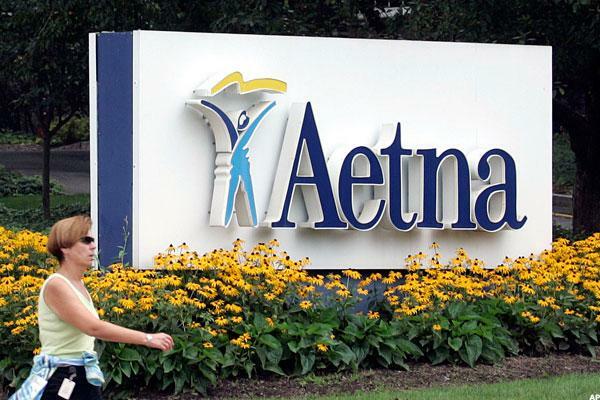 Referring specifically to the Aetna and Anthem deals, American Hospital Association General Counsel Melinda Reid Hatton, warned in an Aug. 4 letter to DOJ antitrust chief Bill Baer that the agency should consider whether divestitures "have any chance of ameliorating the enduring damage" the merger of four of the five largest health insurers would pose to competition. The tacit acknowledgement that the merging parties have little to fear from traditional antitrust review of insurance mergers shows that companies have thought their transactions through. "The parties have picked their dance partners pretty carefully," said Rob Fuller, of counsel at Nelson Hardiman LLP and a fellow of the American College of Healthcare Executives and a former hospital COO. Fuller predicted the mergers will give insurers additional market power to reduce rates paid to hospitals and physicians and may make it harder for some health care providers to secure a spot in some insurers' networks. Nevertheless, the traditional lens antitrust enforcers use to evaluate the competitive issues leaves little chance any of the deals will be blocked outright, he said. "The overall picture under which these deals will be looked at is whether they tend to lessen competition in local markets," he said. "The problem people who would challenge have is that insurance is heavily regulated in the states and even the federal review is going to be a typical state-by-state, product market analysis." For instance, he noted that Anthem and Cigna have few geographic overlaps because Anthem strongholds are in the western U.S., and Cigna's are in the East. So even though Anthem, formerly known as WellPoint Inc., has the biggest geographic footprint of private health insurers in the U.S., according to the AMA's 2014 study, the DOJ's concerns about that deal are likely to be focused on New Hampshire. There, Anthem's market share will grow from 50% to 67%. 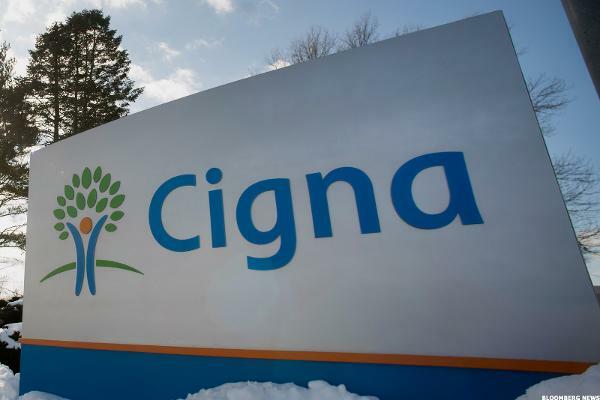 The merger will also join the top health insurance providers in markets spanning Colorado, Georgia, Illinois, Maine, Tennessee and Virginia, according to the AMA, and some divestitures could be required in those states too. Oppenheimer analysts have calculated that the two companies would control more than 40% of the large group insurance market in Indiana, Maine and New Hampshire. IT'S HARD TO PREDICT the specific antitrust divestitures that will be imposed on the pending transactions because it's not clear how narrowly the DOJ will define the relevant market for each one. The agency could declare any of the following segments to be a distinct market harmed by the deal in a specific state or metro area: HMO/POS plans, large employers that typically self-insure but purchase administrative services from insurers, small employers that rely on the insurers to fund their plan, purchases of insurance by individual customers, and the provision of Medicare Advantage. Medicare Advantage is a premium form of Medicare in which customers can purchase additional coverage with lower co-pays and better prescription drug benefits. "There are a lot of moving parts, not just because of the products involved and the strengths and weakness a company may have in its various locations," said Richard Feinstein, an antitrust partner at Boies, Schiller & Flexner LLP and a former director of the Federal Trade Commission's antitrust bureau. "But you also have the additional factor of two major deals being viewed simultaneously, which could complicate the availability of remedies because it could reduce the number of candidates available to acquire properties that would have to be divested." Aside from the product segments, the DOJ will also have to decide whether either of two separate groups are likely to be harmed. One is health insurance consumers, either the companies or individuals that purchase coverage. The other is health care providers, mainly the hospitals and doctors that must negotiate reimbursement terms for inclusion in an insurer's network. Bruce Schneider, a partner at Stroock & Stroock & Lavan LLP, said overlap in the types of products merging parties sell in a geographic area is a critical element in gauging whether a merged company will gain market power that hurts consumers. "They'll look at all those products and whether there is likely to be a reduction in competition in that geographic area and in that product," he said. As for competition to sign up health care providers for insurers' networks, Schneider said the most important factor is whether the insurers will gain "monopsony" power that gives them no incentive to negotiate with hospitals and doctors that balk at the stated terms for inclusion in the carrier's network. "Every time we get one of these mergers, the local hospital association is horrified by it," Schneider said. "The DOJ will want to know how badly the hospitals and doctors are going to get beat up, particularly the impact on various medical specialties like OB-GYNs and so on." Another factor, Schneider said, are state attorneys general who are likely to be more assertive in insurance deals than in mergers within other industries. "The AGs are likely to insist on certain conduct remedies such as preventing the combined companies from cutting doctors from existing plans," he said. DOJ reviews of previous health insurance mergers illustrate how the agency can narrow the market in an area and show the types of remedies likely to be imposed this time around. Since 1999, the DOJ has taken action against five mergers, four of which were ultimately approved with a settlement. In each settlement, the DOJ focused on at specific segment of the health insurance business. In 1999, it required Aetna to divest Prudential HMOs in Dallas and Houston as a condition of acquiring Prudential Financial Inc.'s (PRU - Get Report) HMO business. In 2005, the DOJ required UnitedHealth Group Inc. (UNH - Get Report) and PacifiCare Health Systems Inc. to divest portions of PacifiCare's commercial health insurance business in Tucson, Ariz., and Boulder, Colo., in order to close their $9.2 billion merger. United was also required to terminate its network access agreement with Blue Shield of California. In addition, the DOJ required United to divest a portion of PacifiCare's membership in Tucson and Boulder, where regulators said United would have had the ability to lower the reimbursement rates of physicians in both metro areas. United also was prevented from continuing an information-sharing agreement with Blue Shield and required to terminate its rental agreement with Blue Shield. United had been renting the provider network of CareTrust Networks, a wholly owned subsidiary of Blue Shield of California. The companies' network access agreement had given each access to information about the other's product offerings in California. Continuation of that agreement would be harmful, the DOJ said, because PacifiCare and Blue Shield of California are among each other's principal competitors, both for the sale of commercial health insurance and for the purchase of physician and hospital services. Three years later, UnitedHealth was attempting another deal, its $2.4 billion acquisition of Sierra Health Services Inc., and had to sell its Medicare Advantage business in Las Vegas to Humana to obtain DOJ approval. The DOJ in 2012 settled with Humana over the company's $150 million acquisition of Arcadian Management Services, which the DOJ said would eliminate head-to-head competition in the sale of Medicare Advantage health insurance plans sold to Medicare recipients in 45 counties and parishes in Arizona, Arkansas, Louisiana, Oklahoma and Texas. Humana and Arcadian accounted for 40% to 100% of the enrollment in Medicare Advantage. To carry out the acquisition, Humana was required to divest parts of Arcadian's Medicare Advantage business in 51 counties and parishes in the five states. The divestitures of health plans in five additional counties and one additional parish was required because the DOJ found it will "facilitate the divestiture of the plans in the other 45 counties and parishes and make those plans more administratable. DOJ resistance actually caused one merger to collapse. In 2010, the agency announced that it would file an antitrust lawsuit to block Blue Cross Blue Shield of Michigan from acquiring Physicians Health Plan of Mid-Michigan. As a result, the companies abandoned the acquisition. The DOJ argued that the merger would allow the combined entity to control physician payment and thereby lower the quality of care. ALTHOUGH THE DOJ precedents indicate that the agency will limit remedies to specific geographic areas, Feinstein said there is an avenue for DOJ to consider the national impact, too. Observers compare the current insurance deals to the airline industry, which has undergone consolidation for years and now faces a DOJ investigation over whether the merger activity is behind price pressure on travel fares. Like insurance, airline mergers have been considered largely on their impact on geographic markets. In the case of airlines, that has been a merger's potential for fare increases on flights between specific cities. But rather than allow the mergers and wait to see what happens as it did in air travel, the DOJ could begin considering the national impact now. "The numbers are not dissimilar [to the airlines] with respect to health insurers with national footprints," Feinstein said. "The number of airlines has gotten down to four, leaving aside the low-cost carriers, and the major airlines are now on the receiving end of a conduct investigation." Regarding health insurance, "it seems pretty clear that some of the products are sold in what could be defined as national markets," Feinstein said. "To the extent that these companies compete to sell insurance or administrative services to national employers, those overlaps may be harder to cure with divestitures. It's hard to make a prediction at this stage because the investigations are so fact bound. In the case of Anthem and Cigna, I think the fact that they are expecting the review to take a year tells you something about what they are anticipating." Even if the DOJ does consider the insurance combinations' impact on a national market, it's still a stretch at this point to say the deals are likely to be blocked, he said. "They are going to be very closely scrutinized, and I wouldn't be surprised at all if some divestitures are required," Feinstein said. "I'm sure the parties are assuming that too. Whether the government's decisions rise to a full stop in any of the cases presumably depends on how the markets are defined and how widespread the problems are." Fuller, however, doubts that the DOJ is prepared to go beyond the traditional local analysis without additional guidance from Congress and the White House on how to manage the conflicting pressures created by health care reform, which seeks to drive costs out of every element of the system. "The next debate will be over how to allocate resources to cover everyone, and there has to be a serious discussion over whether we should have a just a couple of very profitable players," he said. The current spate of insurance combinations is likely to be bad for hospitals and physicians groups, he said. He predicted it will stifle the kind of innovation that led insurers and providers in California to team up and form "mini-Kaisers," mimicking Kaiser Permanente's business model. Fuller said insurers' incentive to have as many providers as possible in their network goes away when there are only two or three players in market. Antitrust regulators recently have shown a willingness to veer from tradition in some industries where competition has historically been gauged according to local market analysis, the FTC decision to challenge Sysco Corp.'s (SYY attempted acquisition of food distribution rival US Foods Inc. based on alleged harm to competition among national broadline distributors is the most recent example. But Fuller argued that the insurance market doesn't lend itself to a similar move absent more direction from lawmakers and the White House. "Food services are not regulated state by state as health care is, and I don't think structurally it is as easy for the DOJ to declare a national market," he said. Eventually, Washington will have to grapple with the cost pressure facing health care providers, Fuller said. "You need to generate enough money to run a hospital," he said. "If Medicare and Medicaid are not giving you enough you have to get it from private market. You're going to see hospitals get stressed even more as reimbursements go down. It's going to get very, very difficult for hospitals over the next couple of years." If his fears come to pass, maybe then competition enforcers will rethink how they evaluate health insurance mergers.